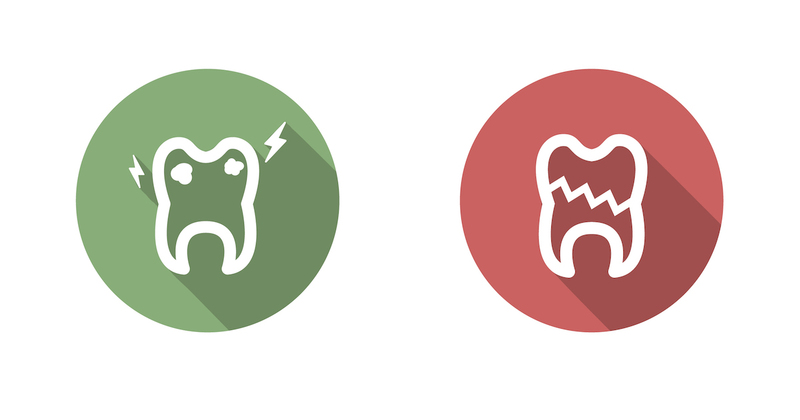 A fractured tooth is the name for a tooth that’s been chipped, cracked, or broken. Regardless of the degree of damage, fractured teeth must be examined by a Dentist in Northern Virginia at the first sign of mouth pain or problem to prevent them from getting worse. To understand fractured teeth, you need to know about the structure of the tooth. The Crown – The top portion of the tooth that’s visible above the gumline. What Are the Best Types of Treatment? A Simple Sedative Dressing – For mild fractures, a Dentist in Northern Virginia may decide to only use a sedative on the tooth to relieve any pain. The tooth would need to be re-examined in a few weeks to see if further treatment was needed, and then monitored over the next year. Dental Bonding – Ideal for serious fractures that make a tooth loose and cause your gums to bleed, bonding can prevent the tooth from falling out. It involves bonding the loose tooth to the nearby teeth to keep it in place while the tooth’s tissue and bone heal. A Root Canal – To treat a tooth fracture that’s highly likely to get infected, a root canal may be required before proceeding with another treatment. Extracting the Tooth – This treatment is reserved for the most serous cases where the fracture extends through the entire tooth to its roots and prevents the tooth from being restored. As a result, the tooth will need to come out. After the tooth is extracted, the Dentist in Northern Virginia will typically replace the tooth with a dental implant. Be aware that the area needs to be monitored closely over the next year and may require a future root canal or other type of treatment if the tooth’s pulp gets affected or infected.